Our Physio Team is led by highly experienced Physios but also includes clinically trained Personal Trainers. We are putting into practice some of the best ideas for highly effective Physiotherapy. This model blends the expertise of Physios with the skills and knowledge of Personal Trainers. Clear evidence shows that the combination of Physiotherapy and increased levels of activity deliver the best results. The atmosphere is very positive. People are encouraged to set goals for themselves and the Physio Team will help you to take steps to achieve these. It can be hard work, but it is worth it! And it’s great to find out what is the safe way of increasing fitness. In general, the fitter people become the lower their fatigue. And it feels good too! 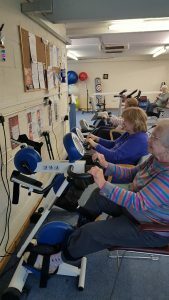 Our Gym has a wide range of modern equipment, specifically chosen to provide the range of treatments required by people with MS and other neurological conditions, such as a cross trainer, stepper machine, walking machine/treadmill, static bikes, Balance Master machine, Medi-motion and VibroGym which are all available under guidance from the therapists. People are only encouraged to do what is safe for their condition. 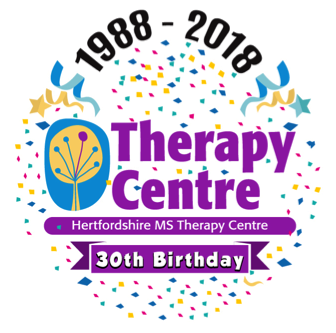 We have 30 years’ experience helping people with Multiple Sclerosis. 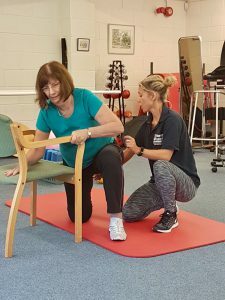 However, we treat people with any Neurological or Long Term Condition which can also benefit from Physiotherapy and Physio Led Fitness Programmes. If you want to know if we can help you, we are very happy for you to meet one of our Physio’s to explore what we might do together. We’re very experienced specialists in Physio for Long Term and Neurological Conditions. That means we also have the expertise and contacts to provide anyone with the Physiotherapy they need. Often from our own Physio Team, but also from partner Physios in various towns. We also take referrals from 12 private health insurance companies. To book Physio with us, please call our dedicated telephone line on 01462 674054 or email physioclinic@hmstc.net for more details.